Toronto has been one of the BEST spots for music festivals this year. 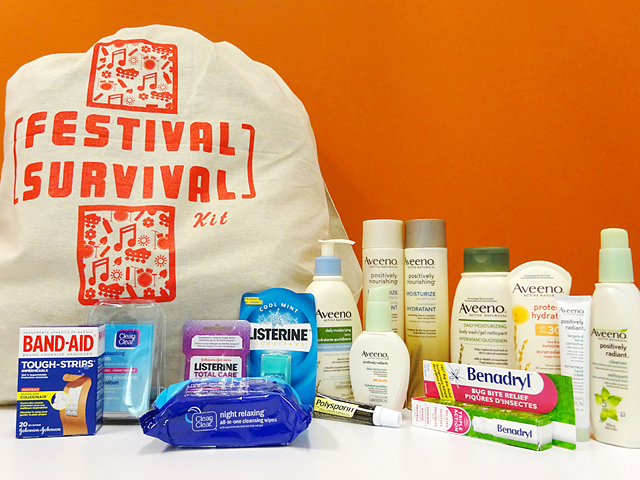 With a few big concerts that just passed and some really amazing festivals lined up from July through September, Johnson & Johnson Inc. has curated an amazing Festival Survival Kit for you to enjoy and have the most memorable experience of your life! 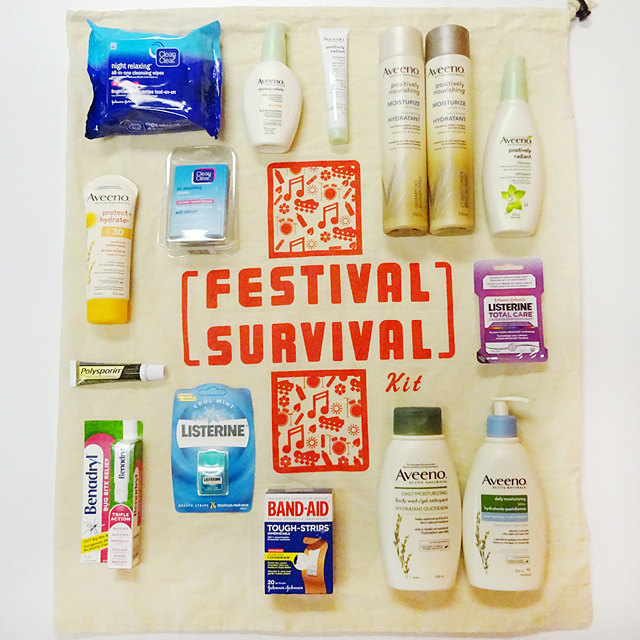 While some of the items in this Festival Survival Kit are a bit more obvious (such as the Aveeno Sunscreen and LISTERINE Pocket Paks), I never would have thought to carry Clean & Clear Oil Absorbing Sheets in case of excess oil or the Polysporin Complete for quick emergencies. Each item in this kit provided by Johnson & Johnson Inc. serves a purpose and prevents you from getting sunburnt, acquiring serious injuries and avoiding allergic reactions. To be eligible, you must follow SummerxSkin on Twitter and Facebook and indicate you did this using the Rafflecopter widget below. You can collect extra entries through more options as well. This contest is open to Canadian residents, excluding Quebec and ends on July 29, 2015 at 11:59 pm ET. You must be 18 or older to enter. Winners will be chosen at random. The winner selected will be required to provide their contact information, answer 3 questions related to Johnson & Johnson Inc. products, and answer a mathematical skill-testing question in order to receive their prize. This is a sponsored by Johnson & Johnson Inc. However, all photos and opinions are my own.